Metabolic Conditioning | 1To1 Fitness | Personal Training in VA & D.C. 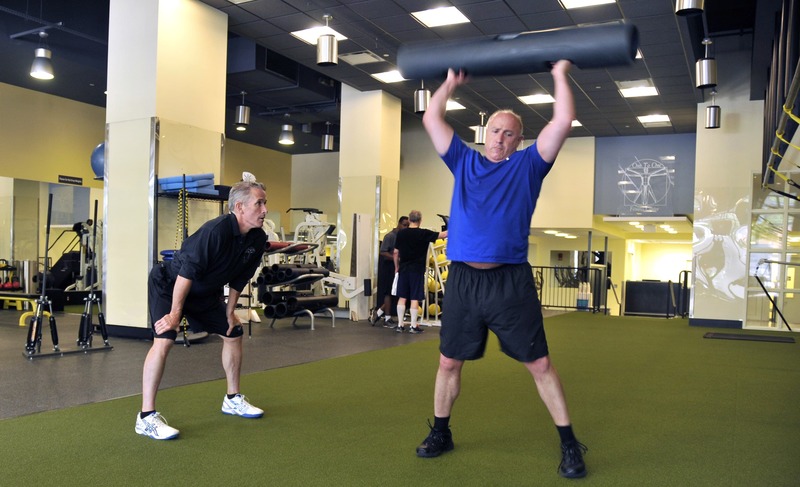 The term Metabolic Conditioning has become very popular in the last decade. A comprehensive review of Metabolic Conditioning would include explanation of advanced exercise physiology and biochemistry principals that go beyond what most lay people need or want to know. A Metabolic Conditioning workout is simply one that uses multiple bouts of very high intensity (and thus short duration) exercises separated by recovery periods. This type of training has been implemented by competitive athletes (both endurance [aerobic] as well as strength [power or anaerobic] athletes) for many decades, even though it has not been referred to as Metabolic Conditioning. Metabolic Conditioning has gained popularity within the fitness community because in more recent years there has been a popular recognition that this type of training can promote many of the physiological adaptations that fitness enthusiasts seek, including increasing muscular strength, tone or size, reducing body fat, and improving cardiovascular health. While building muscular strength has long been associated with strength (anaerobic) training, most lay people have associated fat loss and cardiovascular fitness as products of lower intensity, sustained (aerobic) activity (such as jogging, walking, bike riding, dancing, etc.). However, many studies have now shown that Metabolic Conditioning can result in greater fat loss than aerobic training, while also producing gains in muscular strength and cardiovascular fitness. Additionally, high volumes of aerobic activities (such as distance running and cycling) can prevent increases in muscle mass or even reduce muscle mass. Therefore, Metabolic Conditioning is now seen by many as the best of both worlds – an activity that can help us gain strength, muscle tone and size, lower our body fat percentage, and improve our cardiovascular fitness, all in one. “High intensity” refers to a level of exertion that is so taxing that it cannot be sustained for very long. Even such “high intensity” efforts can vary in their degree of intensity. For example, a weight lifting set (such as squats, dead lifts, power cleans, bench presses, push presses, and many others) using an amount of weight with which you can perform a maximum of 8 repetitions, or a set using an amount of weight with which you can perform a maximum of 4 repetitions, or a set using an amount of weight with which you can perform a maximum of 2 repetitions, would all be considered high intensity sets. Similarly, all out sprints of 100 yards, 200 yards and 400 yards would also all be considered high intensity bouts. Athletes incorporating Metabolic Conditioning into their training programs can be well served by selecting intensity levels (i.e. amount of weight, or speed) that result in efforts of similar duration to efforts their specific sports demand. Just as the intensity, and subsequently the duration of the exercise bout can be selected in order to match sports demands, the length of the recovery time between bouts can also be selected to match the demands of specific sports. Thus Metabolic Conditioning workouts can be designed with work phases of different durations (usually between 10 to 60 seconds), and recovery or rest phases of different durations (usually 10 to 120 seconds). For fitness enthusiasts, not training for a specific sport but instead for general increases in fitness and performance, implementation of Metabolic Conditioning workouts that include various work:rest ratios is appropriate. Furthermore, many sports also challenge players to perform maximum work outputs of different duration, for example a soccer player sprinting 15 yards to be first to the ball or racing the full length of the field for a breakaway opportunity. Thus even athletes training to enhance their performance for a specific sport can be well served by implementing different degrees of high intensity bouts, and by selecting various work:rest ratios, for their Metabolic Conditioning programs. At 1 TO 1 Fitness Center we help our competitive athletes, weekend warriors, general fitness clients, and fitness newbies implement appropriate Metabolic Conditioning workouts for their goals, needs and ability levels.